54 North developed complete room designs, including interior paint palettes and all material selections, to refresh two spaces in this original home. 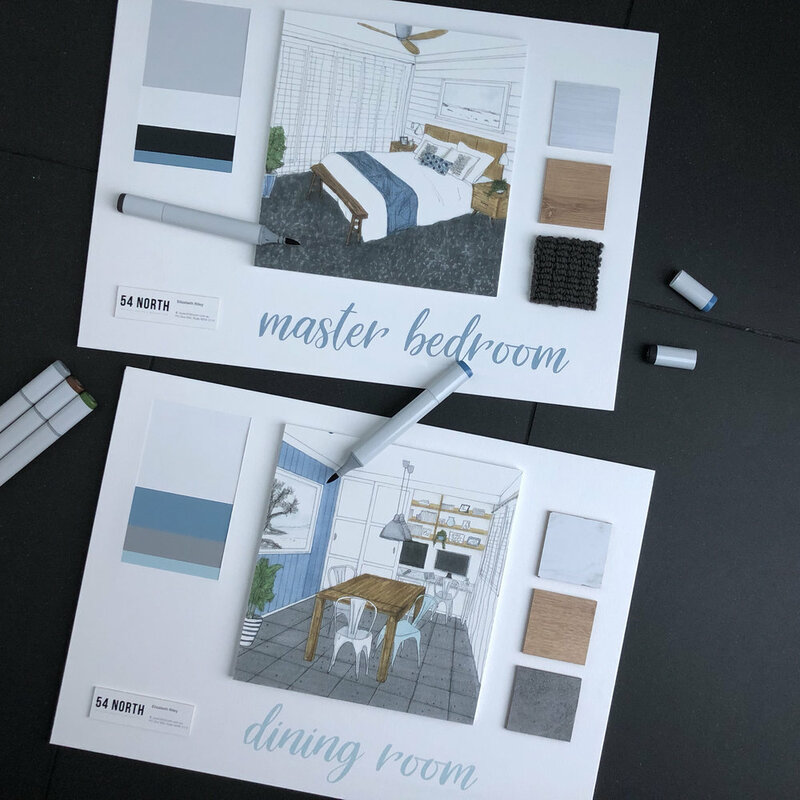 The clients’ love of coastal locations and cool colours inspired the concept which was designed to embody the emotional benefits of the coastal lifestyle - relaxed mood and serenity/calm, the feeling of space/freedom and the sense of refreshment/reinvigoration. The concept was applied to the east-facing master bedroom, and west-facing dining room. Variations were made to the paint colours and material selections in each room to account for the varying light, climate, aesthetic and functional requirements between the two aspects.